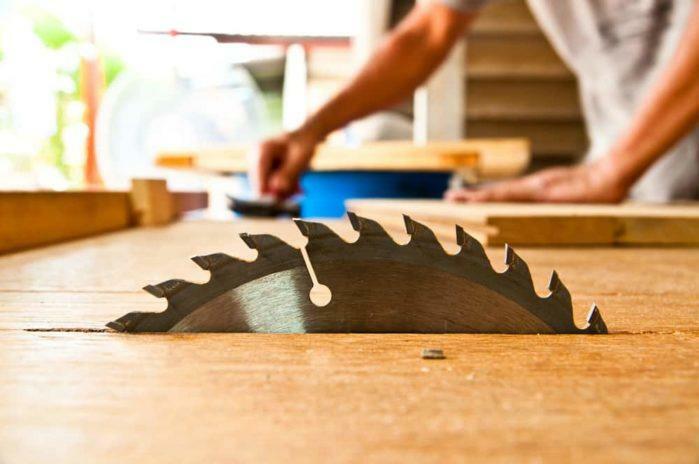 If you have a table saw or radial saw, one of the amenities that you can purchase for it is a set of high-quality dado blades. Specifically, dado blades provide the cutting power that your saw needs. They also offer working versatility, as they can make different joinery cuts such as tenons, rabbets, and groove. Of course, only the best dado blade can give you the most astonishing results. Well, there are a lot of options when it comes to this blade. The market is flourishing with myriads of selections for both professionals and DIY contractors. But despite this, it is an open secret that not all of these dado blades can cut. In fact, you can easily narrow your selection by just looking at the quality of these blades. In this article, we will feature some of finest dado blades that exist today. We have listed their features so that you can gauge their capabilities. Let's get started! Before we introduce each of these dado blades, we will make a brief detour first. Specifically, we want to emphasise the purpose of dado blades. Moreover, we also need to elaborate the important factors that indicate the quality of this tool. In this way, you can get the right dado blade that would accommodate your needs and intended applications. For those who are still new in the world of power tools, dado blades (dado set for some) are a group of cutting tools that have been stacked to make broad cuts. 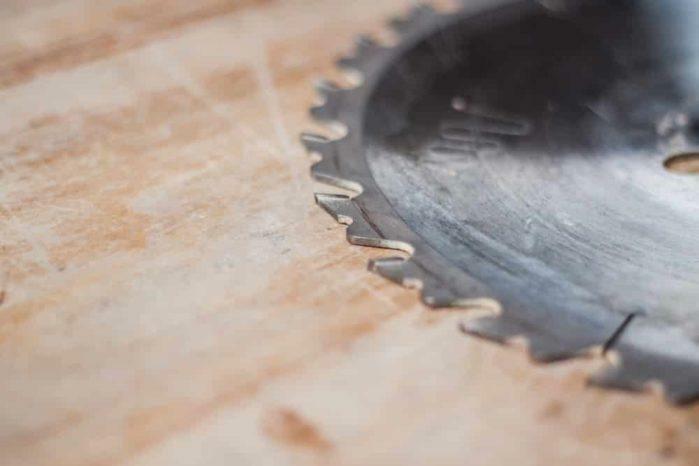 You can easily compare a dado blade to the blades that you can see on circular saws. However, this cutter is typically standard on radial arm saws and table saws. In general applications, the usual width of a dado blade ranges from 1/8 inch to 3/4 inch. As we mentioned earlier, you can utilise this type of blade for making joint cuts. You can use them on your renovation and construction projects. However, they work best on woodworking tasks. The first thing that you should know about dado blades is its main variations. Specifically, there are two types of dado blades today: the stacked and wobble. If you are a serious woodworker, we recommend that you should go with a stacked dado set. Aside from being powerful, the stacked set offers guaranteed versatility. The anatomy of this variant usually features two sets of exterior blades and interior chippers. The combination of these components will allow you make fine adjustments to the width of your cut. However, you should know that the width is still dependent on the count of chippers that the stacked dado set has. In the market today, you can see models that offer two to six chippers. Of course, the higher the number, the wider the cut can be made. Stacked dado blades provide extreme precision in joint cutting. Its large number of cutters will allow you to make the perfect cut and groove without missing a hit. They also offer durability, thanks to the plethora of teeth that the blade has. They can cut without wearing the parts down, making them more long-lasting than wobble blades. On the other hand, you should know that stacked sets are expensive. On the other hand, a wobble dado blade is the direct opposite of the stacked set. Specifically, it only uses one steel in its setup. Therefore, you are required to make various cutting technique to create grooves and joints. After all, you cannot rely on stacking anymore. Of course, this would compel you to install a hub with the wobble blade. In this way, you can be able to adjust the cutting angle of the blades. As its name suggests, wobble blades tend to shake. It causes the inaccuracy in the cuts it makes. But since it is only a single blade, the spinning motion that it has is rapid. It can easily cut wood materials for any joinery projects. We can also say that wobble dado blades are cheap. We compared their prices with stacked dado blades and saw the glaring difference. In fact, some wobble dado blades are half cheaper compared to their stacked counterparts. Another good feat of this type of dado blade is its user-friendliness. Specifically, you can quickly set this one up even with minimal guidance. You cannot just settle with low-quality dado blades. Otherwise, you won't have an excellent time working on your projects. A professional woodworker would never pick a dado blade that cannot live up to their standards. Even amateurs should have that conviction, too. You need to look for the intricate details that revolve around an individual dado blade. For example, terms like "Teeth Per Inch" (TPI) will give you an idea of the intended application of the cutter. Specifically, those units that have a high number of TPI is an excellent choice for cutting hard materials. They can cut fast and elegantly. A dado blade cannot perform well if it doesn't have the structural rigidity and durability that it needs. You need to guarantee that the blade that you are going to choose has optimal quality. Most of the dado blades on the market either come on 6 inches or 8 inches in diameter. Usually, 8-inch dado blades are perfect for making deep cuts. They are ideal for cabinet saws because they can sustain its power. Meanwhile, 6-inch blades are for portable and bench saws. Specifically, add plates the region in where the blade extends. It plays a vital role in the selection process of dado blades. For example, if you want to use the dado blade on your table saw, the former should come with a modified insert plate. You can either choose a pre-cut insert plate or a zero clearance insert plate in this matter. You can check all the features of these dado blades in the following section. If you want to know their current prices, just click their corresponding links! One of the premium dado blades that you can opt today is the Oshlun SDS-0842. It is a 16-piece stacked dado set, perfect for any serious woodworker. Despite this, the Oshlun SDS-0842 remains to be an affordable option. It features blades that have a high number of teeth count. Smooth and powerful chippers are combining this feature. As a result, this entire stack can generate various dado cuts, which range from 1/4 inch to 29/32 inch. These particular dado blades offer a C4 micro grain tungsten construction on their carbide tips. Because of that, you can assure that they are durable, which guarantees their long lifespan. The set can work in different types of hardwood, plywood, and softwood without encountering any difficulties. We like Oshlun SDS-0842 because of its full-body chippers. Specifically, they are not like ordinary chippers as they come with patented technology that lessens their vibration. Furthermore, they are very easy to install, which makes your work like a breeze. The Freud SD508 is an industrial-grade stacked dado set. The blades and chippers are from durable and rugged materials which improve their performance. Of course, the construction is pretty innovative as well. Even the carbide with a patented coating is from Freud, the TiCo Hi-Density. Because of these features, you can assure that this unit will have a long lifespan and maximum performance. Despite its quality, the Freud SD508 remains to be user-friendly. It is an ideal choice for every weekend warrior out there. It can make different cuts and grooves without burdening its user. Of course, the precision and power are still there, thanks to the razor sharp blades. Specifically, the blades have 24 teeth, which is partnered by 5/8-inch arbours. The Freud SD508 is also compatible with different types of setup. It can work well with radial arm saws and table saws. It can also cater various materials and hardwood, making it among the most versatile choices out there. One of the finest stacked dado sets that we tested is the DEWALT DW7670. It has heavy-gauged plates that allow accurate cuts. It also comes with specialised carbide teeth that ensure the cleanliness of your work. We tested it, and we have proven that it doesn't produce too many splinters. Meanwhile, the chippers of this unit come with four teeth, which is an ideal count for making smooth bottom cuts. It also has shims made from stainless steel to ensure that you can make micro width adjustments with this tool. It also has a heavy duty storage to protect the blades and chippers from external detriments. When it comes to usability, the DEWALT DW7670 is a user-friendly dado blade set. You can easily install this on your table saws because of its ergonomic plates. Moreover, it can work with various materials, too, making it an all-rounder option. At first glance, it is pretty noticeable already that the Forrest DK08244 Dado King is not ordinary. The construction can deal with heavy-duty tasks. As a result, this unit is heavier than most of its counterparts. But despite that, you can ensure that this blade can provide smooth and clean cuts. Moreover, it contributes to the stable performance of this tool whenever it is working. One of the most apparent features of the Forrest DK08244 Dado King is its face hook. The said component improves the sturdiness of this device whenever it is cutting hard materials. Meanwhile, all of the blades have been manually straightened to ensure precision in performance. This design also prevents splintering whenever you are making radial crosscuts. The last but not the least on this list is the Mibro Group 416381. It is an excellent choice for those who want to achieve clean and precise bottom groove and radial cuts. It works perfectly against various wood materials (even the composite ones). It can also provide width adjustments, which range from 1/4 inch to 13/16 inch. You can adjust it by 1/16 inch increment. The Mibro Group 416381 has blades that have anti-kickback tooth. With this capability, the steel is not being susceptible from being fed to the material. Meanwhile, we have to emphasise that the teeth from high-quality carbide. Therefore, you can ensure that they will last for a long time, even if you use them consistently. Having a dado blade will certainly give you an advantage to any woodworking task. If you combine with it a dowel jig, your versatility in your work and projects will certainly improve. Of course, you will be sure that you can tackle any wood materials if you got an excellent set of dado blade with you. Among these, we deem that the Oshlun SDS -0842 is the best dado blade that you can get. It has an impressive construction that doesn't deter even in constant usage. Moreover, the cuts that it made are extremely sharp and clean. In short, it is a professional-grade tool that any serious woodworker would love to get. But for you, which of these dado blades we featured do you think will work best for you? Tell us your answers in the comment section below!